Hello everyone!! For the past few months my skin has been looking really good, so I wanted to share my skin routine with you guys. First of all, almost my entire life I’ve dealt with acne. Ever since I hit puberty at around age 11 I’ve had pretty bad breakouts. 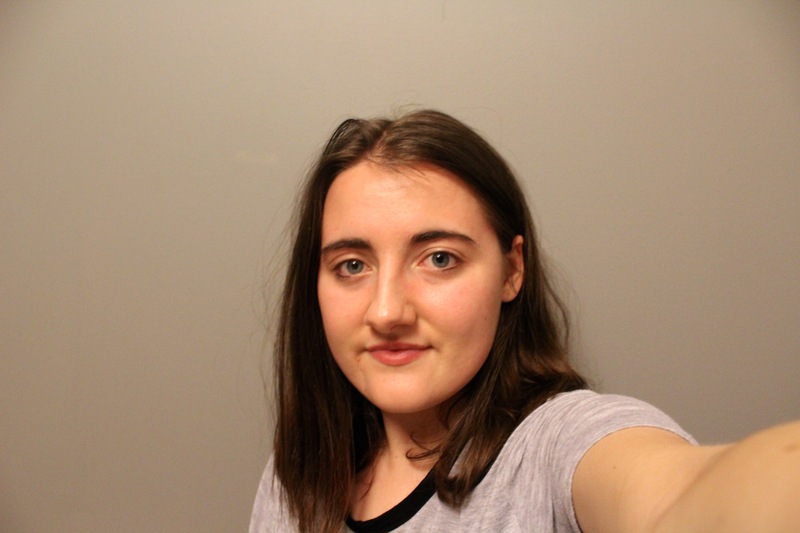 I went on Accutane last year because my skin was so bad. 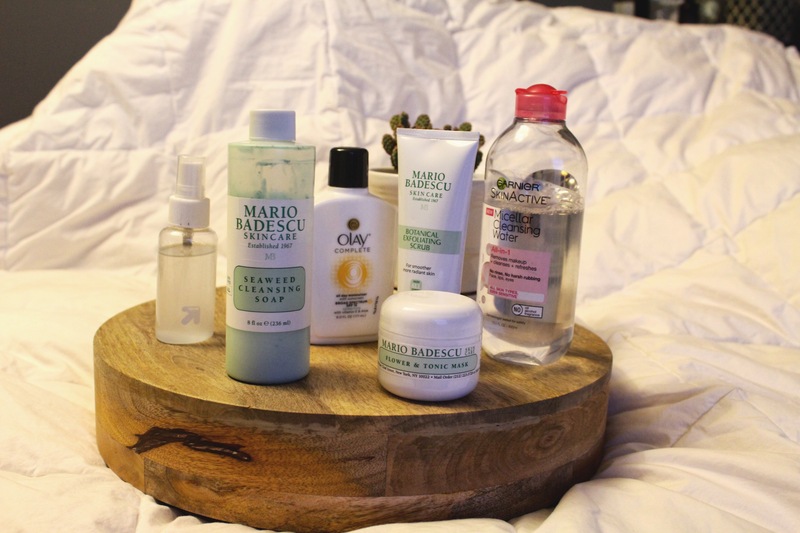 This summer the acne started to come back so I decided I needed to find products that really worked for my skin. For the last 3 months my skin has never looked better, and I honestly think it’s because of these products. So, let’s get started! In the morning, my skincare routine consists of only two products. 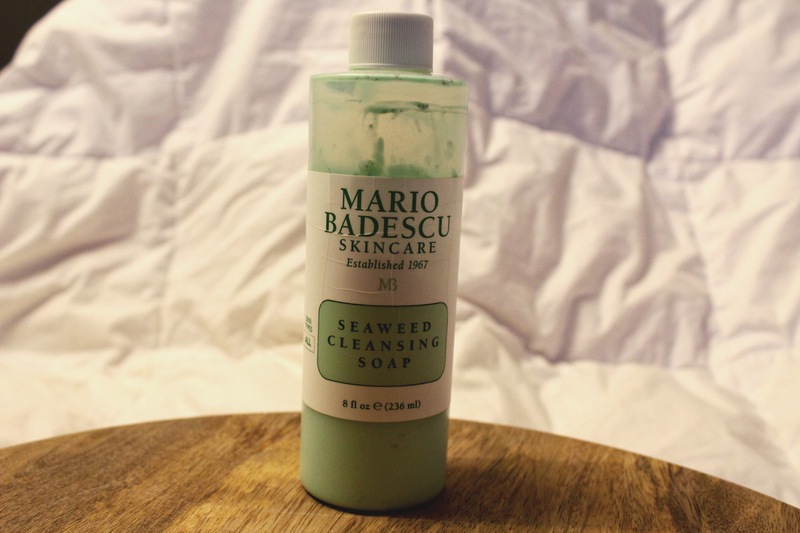 First, I wash my face with the Mario Badescu Seaweed Cleanser. At first, I didn’t really like this face wash because it smelled weird and made my skin feel squeaky, but as I used it more I saw a major improvement in my skin. Now I’m obsessed with it! You can try Mario Badescu products by taking a survey on their website and they send you free samples in the mail. I highly recommend doing this so you can try lots of different products and find which ones work best for your skin. 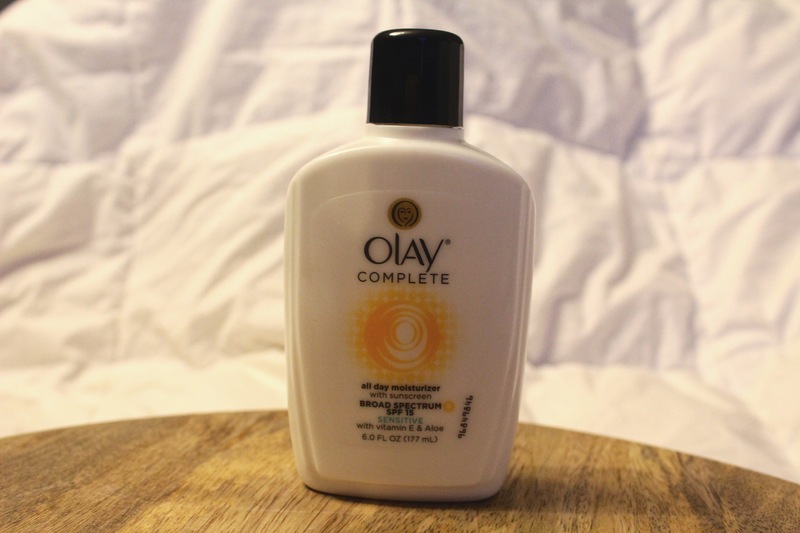 Next, I use the Olay Complete All Day Moisturizer for sensitive skin. I’ve used this moisturizer for about 3 years and I still love it! It’s the perfect amount of moisture for my oily skin. 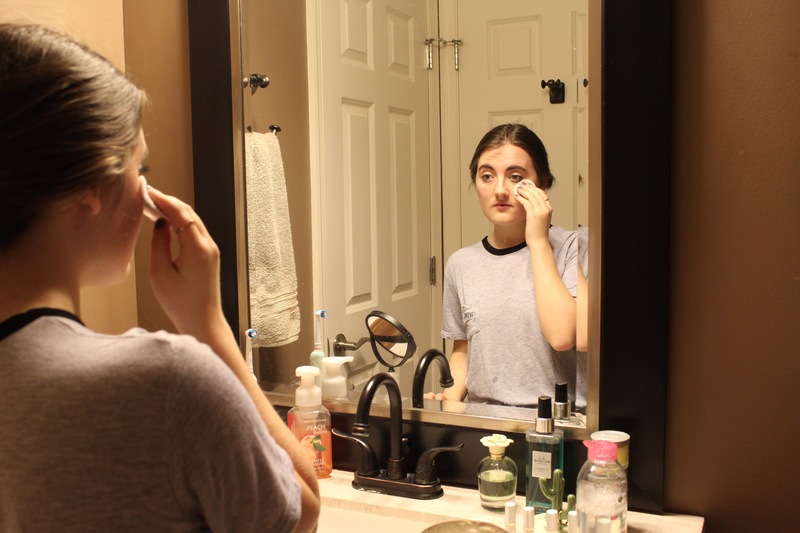 At nighttime, I use the Garnier Micellar Water to take off my makeup. I just put some on a cotton pad and it takes off my makeup in seconds! Then, I use the Mario Badescu Seaweed Cleanser again, and finish off with the same Olay moisturizer. 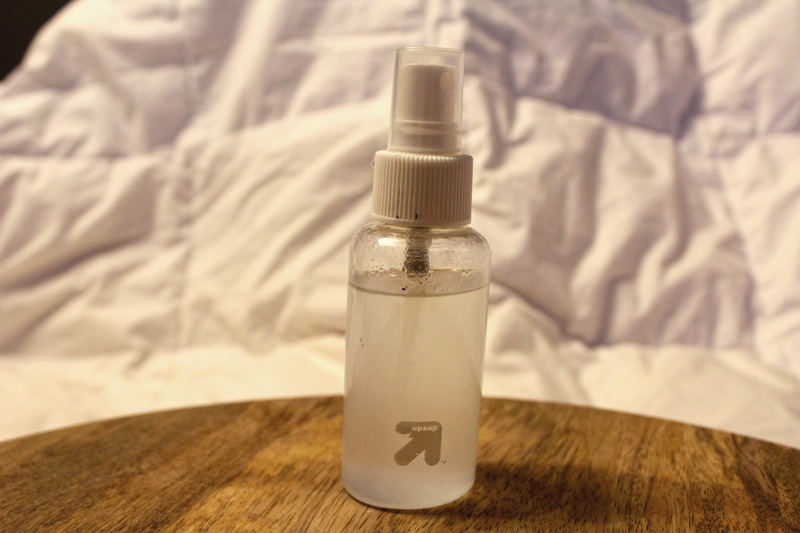 As a toner, I spray on a homemade mixture of water and tea tree oil. You can get the full recipient for it on my post “Essential Oils Aren’t Just for Moms”. At night, I also like to put a thin layer of benzoyl peroxide cream all over my face. You can find this at any drugstore. It’s good at preventing breakouts and it can also dry up existing pimples quickly. 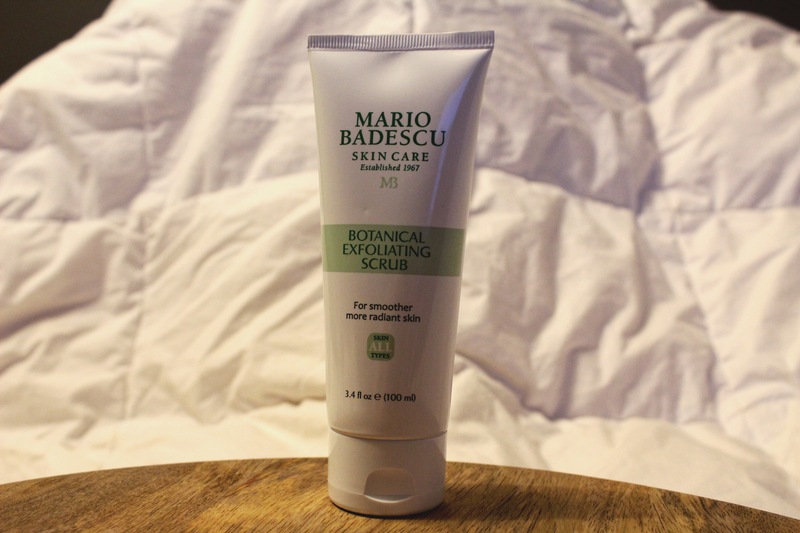 About three times a week I exfoliate my skin with the Mario Badescu Botanical Exfoliating Scrub. The first time I used this I couldn’t help but let out a sigh of relaxation. It smells like real flowers, not the perfum-y fake stuff, and it makes my skin feel brand new and baby soft. I love this! 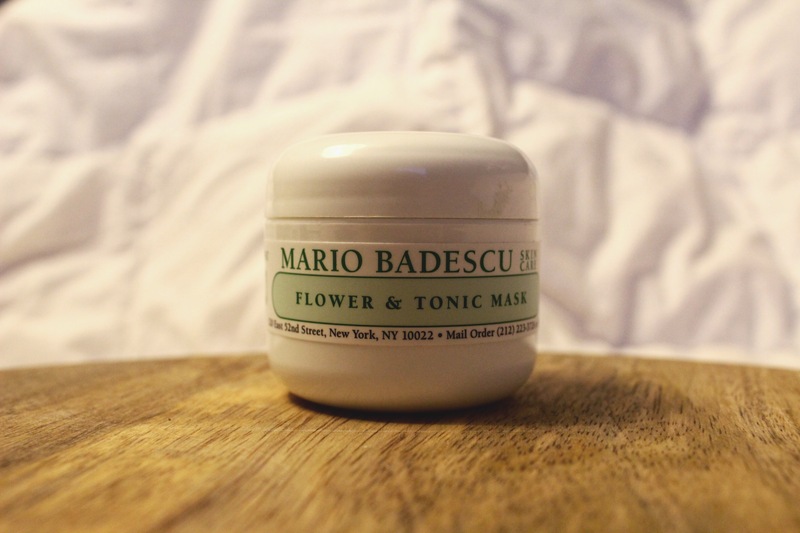 When I feel like my skin needs a mask, I use the Mario Badescu Flower and Tonic Mask. This mask is great for oily skin, since it’s made of clay, but it’s also very soothing and would be great for sensitive skin. I encourage you all to find the skincare products that work best for you and your skin! It can be a long process, but I think it’s worth it. If any of you are struggling with acne, I totally feel you and it won’t last forever! I hope you guys are feeling good and I’ll see you next week! I’ve heard a lot about Mario Badescu but never tried yet. Just checked their site and found out that MB makes a lot of cool serums, at least they look interesting in descriptions) I have to try some! Also their enzyme and glycolic cleansers might be useful. Thanks! And dang, I wished they sent samples internationally! But the brand is amazing!! Looking forward to giving it a try- Time for free samples! Great products! 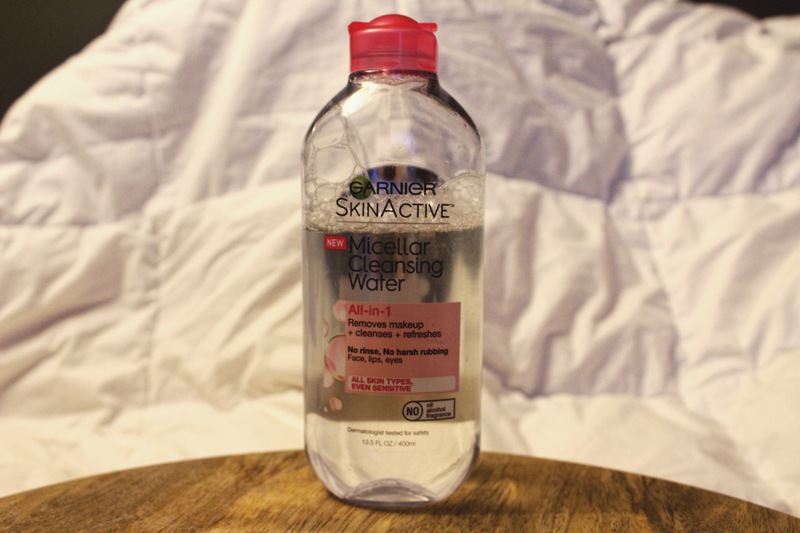 I love Micellar Cleaning Water! Thank you so much!! Mario Badescu is awesome! Your skin looks great! Thanks for the info on free samples too! I’m all for that! I’ve used Mario’s drying lotion when I used to break out. Great post!